Rolando De La Cerda, 15, of Palmview High School, performs Saturday at the Texas Folklife the Big Squeeze competition in Palmview. 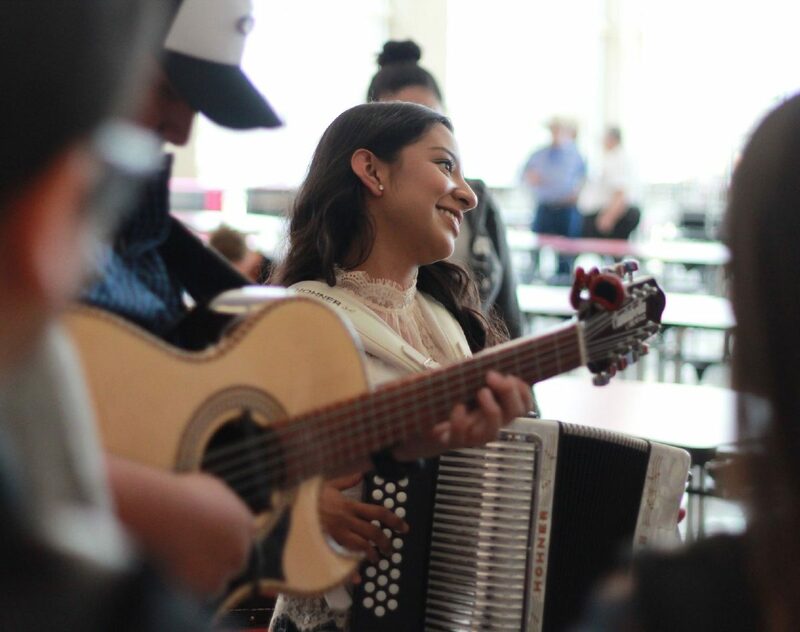 PALMVIEW — Melenie Gonzalez, 17, clenches her accordion and takes a long breath before beginning her two-song audition. She’s playing a polka first, then a huapango. As she dances audibly in her boots she’s adding another beat to her long-awaited performance. Her fingers swiftly maneuver through the accordion’s controls, and she strategically opens and closes the instrument in precise movements. Moving it in the wrong angle will result in the incorrect “tono,” which could cost her points. Melenie was one of the participants at the 12th annual Texas Folklife the Big Squeeze accordion competition held Saturday at Palmview High School. Melenie Gonzalez, 17, of Roma High School, plays her accordion before the audition Saturday at the Texas Folklife the Big Squeeze competition in Palmview. 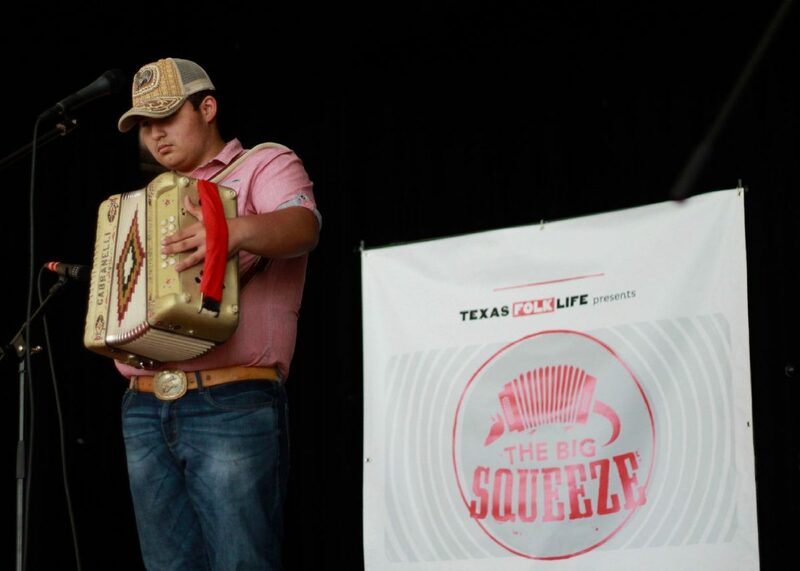 Roel Gallegos, 15, of Palmview High School, plays his accordion before his audition Saturday at the Texas Folklife the Big Squeeze competition in Palmview. Texas Folklife, a nonprofit organization focused on preserving Texas culture, is holding nine Big Squeeze showcases throughout the state. From those, 12 finalists will be chosen to compete in the finals at the Bullock Museum in Austin. The high school cafeteria was full of students sporting classic Tejano gear: cowboy hats, studded jeans and boots. The attire paired well with the conjunto music the young musicians played communally while waiting for the showcase to begin. 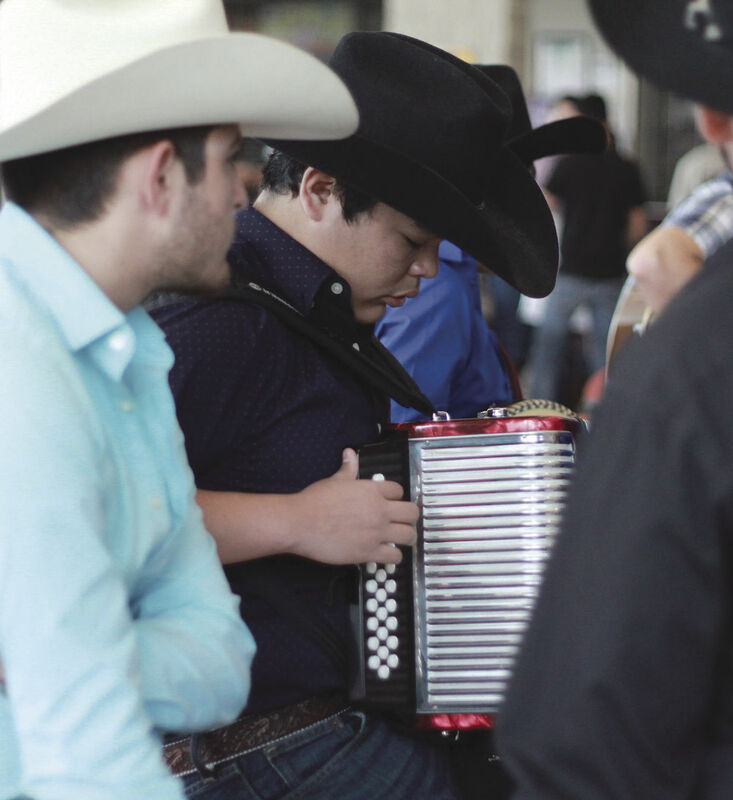 Though that may be a typical sight in the Rio Grande Valley, some spectators came from out of town specifically to see Valley teenagers perform. David Dodd, a Houston-based photographer, said he first heard conjunto music at a Big Squeeze competition in Houston 10 years ago. After hearing of the Valley’s reputation for good accordion players, he began coming down for the event. Cecilio Garza, the Conjunto director at La Joya ISD, said the school district has been a leader in mariachi, folklorico and conjunto since the 1960s. Garza graduated from La Joya High School in 1969 and was a part of the first cohort of the school’s conjunto program, and “the rest is history,” he said. Garza was one of the founding members of the Big Squeeze, and said every year Valley students end up competing in the finals in Austin. Naturally, all the young contestants were nervous before the auditions. However, as soon as the showcase was over, they went back to laughing, dancing and playing their instruments for the fun of it.